This is a sponsored post written by me on behalf of Breyers. All opinions are 100% mine. Breyers has partnered with Chef Antonia Lofaso to create 5 fun, family-friendly recipes featuring America’s number one vanilla ice cream: Breyers Natural Vanilla. Breyers is committed to using high quality ingredients and you can taste it! 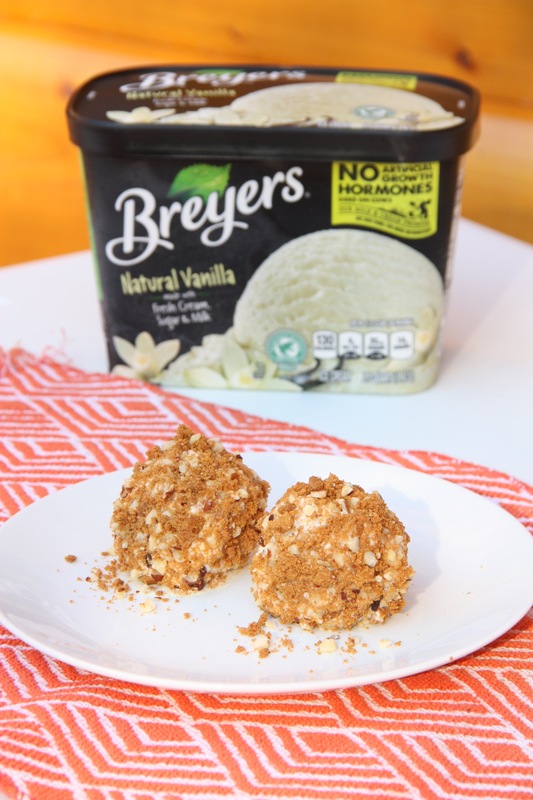 We love to have any excuse to have an ice cream party at our house and with Breyers Natural Vanilla I have additional reasons to party because Breyers Natural Vanilla is made with fresh cream, sugar, milk and sustainably farmed vanilla beans. 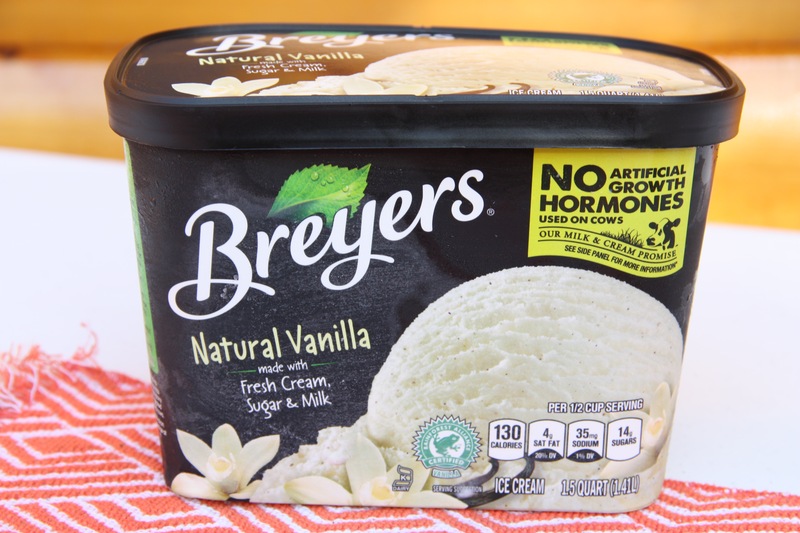 Breyers now sources milk and cream from cows not treated with artificial growth hormones*. On top of all that the ice cream is creamy and delicious. Breyers is reason enough to throw an ice cream party. If you want some great ideas for new ways to use your ice cream try these recipes from Chef Antonia Lofaso. Breyers products are available in grocery stores nationwide for a suggested retail price of $3.99 – $5.99. We tried the toasted almond and vanilla arancini recipe and it was amazing! My kids loved that it was a little different than a regular bowl of ice cream. 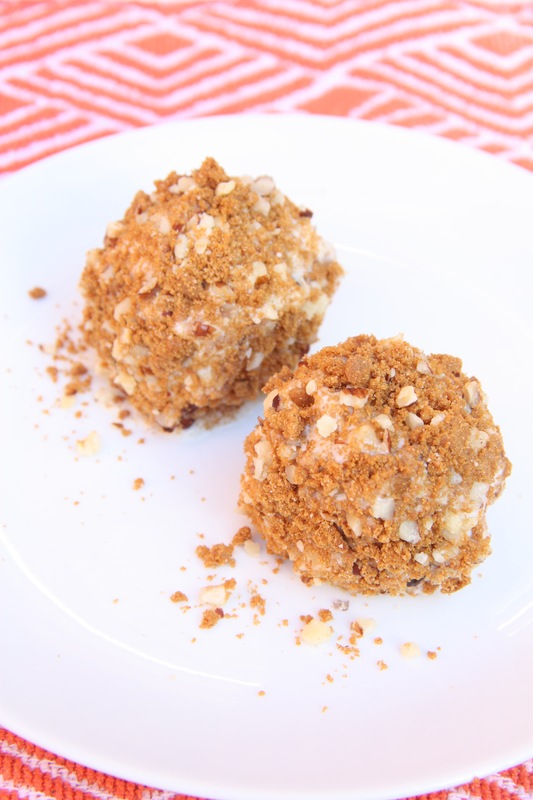 The ice cream scoops are rolled in crushed almond cookies, toasted almonds and hazelnuts to make a crunchy outer shell for the delicious creamy vanilla ice cream. You can make these ahead for a party and pull them out the freezer when you’re ready to serve them. Place 2 (1/4 cup) scoops of Breyers® Natural Vanilla Ice Cream on a baking sheet and freeze for 10 minutes. For more delicious recipes check out Breyers on Pinterest, Breyers on Twitter and Breyers on Facebook. *Suppliers of other ingredients such as cookies, candies & sauces may not be able to make this pledge. The FDA states that no significant difference has been shown between dairy derived from rBST-treated and non-rBST-treated cows. Linked up with Buns in My Oven, Saving 4 Six, Posed Perfection and Peonies and Orange Blossoms.